There is always something special about cricket at Lord’s. Whether it be the first day of a Test Match or the Village Cup Final, this iconic venue would be the first on many cricketers list if you asked them where they would want to play most. This weekend, Middlesex and Gloucestershire grace its hallowed turf in a vitally important County Championship game for both teams. After the first round of fixtures, these two were sitting pretty at the top of the table having won their opening match. Since then, both have slid down the table and need a win before the break for the group stages of the Royal London One Day Cup. For Middlesex this wasn’t how it was supposed to be. A thumping victory over Northants, confirmed the thoughts of many that they were indeed promotion favourites. 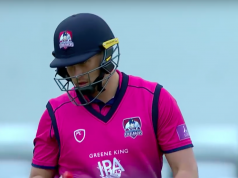 Defeats to Derbyshire and Sussex have exposed the harsh realities that this season will be much more difficult than they were perhaps expecting. Gloucestershire have played a game less than their opponents and they also are winless since the opening day. A win against Kent was followed by defeat to Glamorgan and a draw against Sussex, a game sadly ruined by the weather with the match finely poised heading into the fourth day. We are at that stage of the year when discussion begins about who should feature in England’s first test of the summer. This time around there has been talk of Nick Gubbins potentially being the latest man to partner Alastair Cook at the top of the order. 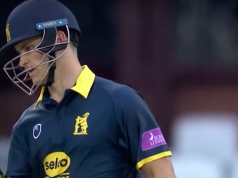 He impressed in the North v South series before picking up a hamstring injury, and signalled his return to action with a fine century last week. He has another opportunity here and if he can continue his excellent start to the season then new selector Ed Smith may well have a dilemma on his hands about whether the 24-year-old should replace Mark Stoneman and make his Test debut. Gloucestershire’s most prolific batsman in red ball cricket over the last couple of years has been Chris Dent. Now captain of the side, this season hasn’t exactly gone to plan for the opener having scored only 51 runs in three games. He will be looking to get back into form with a solid contribution, to help silence the doubters that you can captain a side, while opening the batting. If history is anything to go by, he should be helped by what is usually a flat wicket at the Home of Cricket and with the good weather forecast, it should be a perfect opportunity for him to return to the form we all know he is capable of. Ireland’s bow in Test match cricket means that Tim Murtagh and Paul Stirling are both unavailable for the hosts, Though both Steven Finn and Eoin Morgan feature for the first time this season. Morgan will play his first Championship game since July 2015 and his international experience will be welcomed into a top order that has struggled for consistency so far this season. Middlesex Squad: Dawid Malan (c), Tom Barber, Hilton Cartwright, Stephen Eskinazi, Steven Finn, Nick Gubbins, James Harris, Tom Helm, Max Holden, Eoin Morgan, Ollie Rayner, Sam Robson, John Simpson (wk). Neither Liam Norwell nor David Payne are fit for Gloucestershire on their first trip to Lord’s since 2010. Both bowlers are both unlikely to play at least until the end of this month, so it is an unchanged squad from the trip to Hove. Benny Howell is available after the birth of his first child earlier this week. While temperatures will not reach what was experienced over the Bank Holiday weekend, thankfully the sun will continue to shine throughout the match. All four days should go by without disruption, with only Sunday at this point looking like it may experience a rain shower.